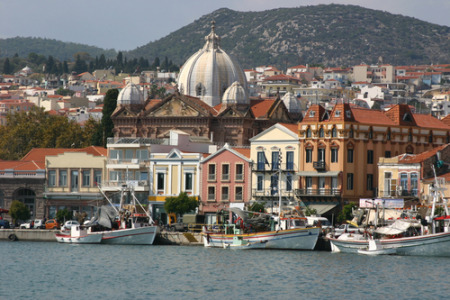 Mytilene holidays take you to the stunning capital of Lesbos. The town, built on seven hills has a five thousand year history and there are many interesting archaeological sites as well as impressive architectural styles. The ancient theatre is said to be one of the largest in Greece holds fifteen thousand spectators. Holidays in Mytilene are mainly popular with couples and those with an interest in history. There is so much to see with superb churches, museums and galleries. Holidays to Mytilene can be taken from April until October when the temperature rises from twenty to mid thirty in the height of the season. Those looking for a cultural break with a guarantee of summer sun may be interested in our cheap Mytilene holidays. They are considered to offer great value as our commitment to high standards of quality and service never falters. For further information and to discover our latest Mytilene holiday offers, please use the search facility.